In a bid to add to the attacking strength of Chelsea, Maurizio Sarri is doing all it takes to get a good attacker. This has prompted the Blues to launch a bid in bringing on Cengiz Under. 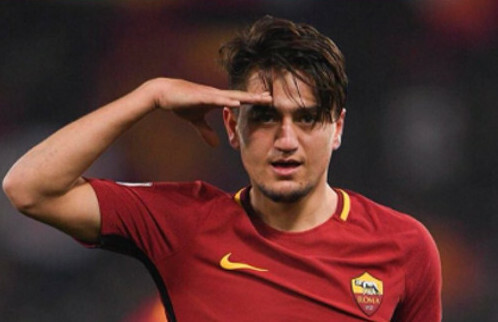 The Blues are fully prepared to offer £31m plus Andrea Christensen for AS Roma midfielder, Cengiz Under, according to Calciomercatoweb. Chelsea are recently threatened with the possibility of facing disciplinary action from FIFA over the signing of young players including Christensen. The club will be willing to let the player go. It is although strange that Chelsea would want to sell Christensen who is just 22-year-old and has a bright future ahead of him but with the condition at hand they might as well want to sell him and get a replacement. Under is also a young player who moved to AS Roma from Turkish outfit Basaksehir for a fee in the region of £12m in July 2017 and has been doing well since joining the Italian outfits. Christensen has not made an appearance for Chelsea in the Premier League since Maurizio Sarri took over as the manager at Stamford Bridge. Sarri is not really interested in keeping the player and ready to sell him in a bid to get Under. With lack of attacking strength in the attack of Chelsea, Under will definitely be a positive addition to the team.